Diabetes mellitus as it’s often referred to in medical terms is a lifelong condition that affects men and women. People who suffer from diabetes have higher blood sugar levels than normal. There are two reasons why this happens; first because the body doesn’t produce enough insulin and second, the cells do not respond to the insulin that is produced by the pancreas in our bodies. Insulin is one of the main hormones that regulate the blood sugar levels and allows the body to use sugar (called glucose) for energy. There are two types of diabetes people can suffer from. Type 1 diabetes is known as insulin dependant diabetes. Men and women of any age can have Type 1 diabetes however it’s often children and young adults that are diagnosed. Type 2 diabetes is the most common type of diabetes that people have. It is usually a non-insulin dependant diabetes, which tends to affect older people over the age of 40 years. Type 1 diabetes is known as insulin dependant diabetes. It can occur at any age however it’s diagnosed often in children and young adults. Only 10% of people with diabetes will have type 1 diabetes. People that suffer from type 1 will usually have to take insulin injections for the duration of their life. It’s important to follow a strict diet and carry out regular blood tests to maintain a healthy blood-glucose level. Sadly there is no cure for type 1 diabetes. Type 2 diabetes is the most common type of diabetes. It is usually a non-insulin dependant diabetes, which tends to affect adults over the age of 40. People who are overweight or obese have a great risk of having diabetes. However it can get worse over years and patients tend to have to take insulin tablets at some point. Treatments for diabetes involves prescription medicines, exercise and diet to control the blood sugar levels and prevent symptoms and problems occurring. As yet there is no cure for diabetes but medication can help treat the symptoms. Actos reduces the resistance your body has to insulin and is used for treatment of type 2 diabetes. 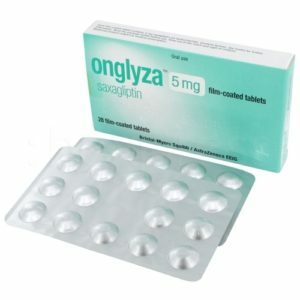 It can be used alone or in combination with other anti-diabetes medicines. Amaryl is an anti-diabetic drug that is used in the management of diabetes mellitus type 2. They work by increasing insulin release from the beta cells in the pancreas. Is an anti-diuretic hormone used to treat the symptoms of diabetes inspidus, which include increased thirst and urination. Is an anti-diabetic medicine for people who have type 2 diabetes. 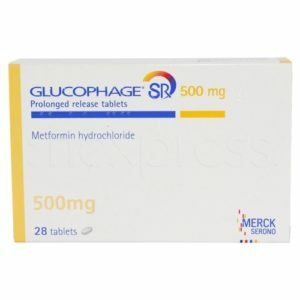 Glucotrol is used in conjunction with a proper diet and exercise to control high blood sugar. It works by stimulating the release of natural insulin within the body. Used to treat type 2 diabetes. It works by increasing the insulin released by the body and decreases the amount of sugar that the liver produces and the intestines absorb. Used to treat type 2 diabetes. 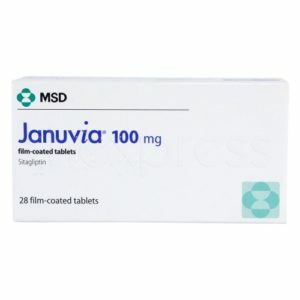 Januvia is an oral diabetes medicine that can help control blood sugar levels and regulate the levels of insulin your body produces after eating. Metformin reduces the size of sugar your body absorbs from the food you consume and reduces the amount of glucose produced by the liver. 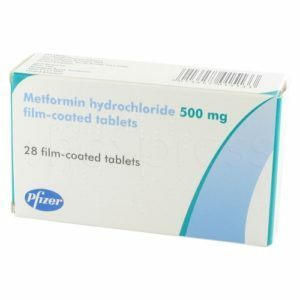 Metformin cannot treat type 1 diabetes. Prandin is used to treat type 2 diabetes. It can be used alone or along with other anti-diabetes medicine. Precose is a glucosidase inhibitor used to treat type 2 diabetes. It works by delaying the digestion of carbohydrates (starch & table sugar). Carbohydrates are usually converted into sugars, which can be absorbed through the intestine. This decreases the amount of sugar that’s passes into the blood and prevents hyperglycemia known as high blood sugar. Calcitriol is a hormonally active form of vitamin D used to treat low calcium levels in your blood. Starlix (Nateglinide) is an oral medication that lowers blood glucose by stimulating the release of insulin from the pancreas. This helps control blood levels within the body. Diabetes mellitus is classed as a metabolism disorder. Metabolism refers to the way our bodies use digested food for growth and energy. Most of the food we eat is broken down into glucose, which is the principle source of fuel for our bodies. When the food we have eaten is digested the glucose makes it way to our blood stream. From there our cells use the glucose for growth and energy however glucose cannot enter the cells without insulin. Recurring infections on the skin, e.g. boils. What complications can diabetes cause? 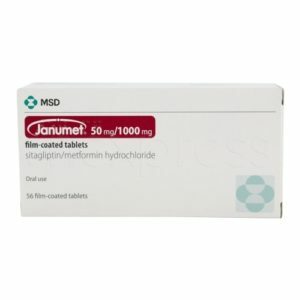 Can I buy diabetes treatments online? Yes you can. To buy any prescription medication online you will first need to complete an online consultation. This replaces the one on one consultation that you would normally have with a doctor. Once this free consultation is completed, it should only take a few minutes. The medication will be dispatched from the chemist within 48 hours. Arriving to you at home, saving time and money.